Specialty Coffee on demand. Your location. Your convenience. Love to have professional baristas serving coffee at your wedding? 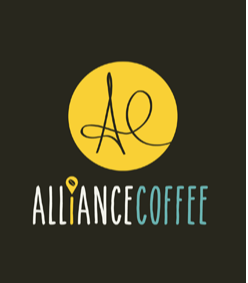 Alliance Coffee brings the coffee bar to your wedding. P.S. Our set up comes complete with everything required to brew coffee for you and your guests. Mobile Coffee Cart – Complete set up to serve handcrafted coffee to your and your guests, on demand. 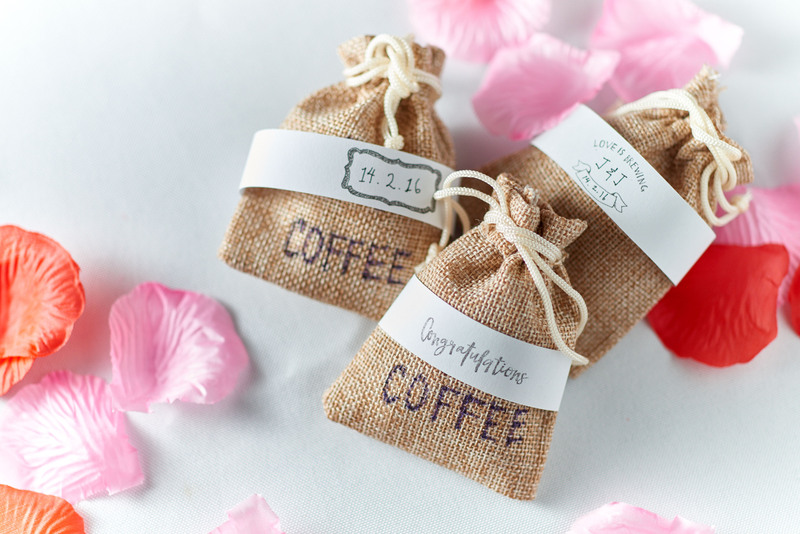 Wedding Favors / Gifts - exquisite coffee pouches that are designed to be practical. Labels can be personalised. 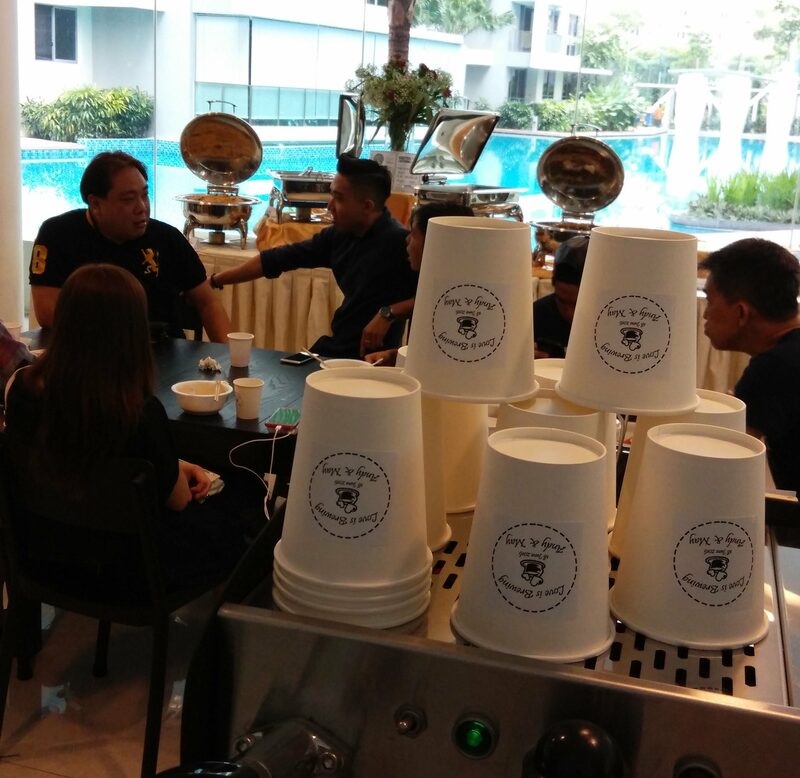 V60 Pourover coffee workshops – small group experiential workshops (4 – 6 pax per barista) where participants will discover and learn more about coffee and how to hand brew coffee at home. Rent – A – Barista – provides baristas to brew coffee at your fully equipped event venues. Great for private parties and yacht parties. 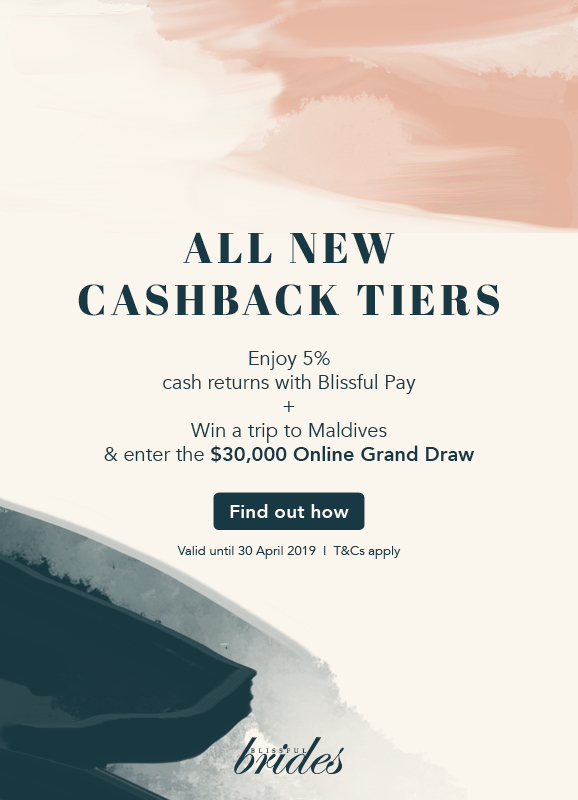 In this fast paced Singapore society, we do our best to provide you with SIMPLE and FAST solutions that can solve the issues with your event organisation, while ensuring that your participants are satisfied. All these can be done via our Mobile Coffee Catering service. You need beverages that will perk the senses of your audience, We provide it – any time, any where. Andy and May wanted to hold a small private wedding reception with their close family and friends. Their wedding reception was held at her condominium and they had invited 50 guests. 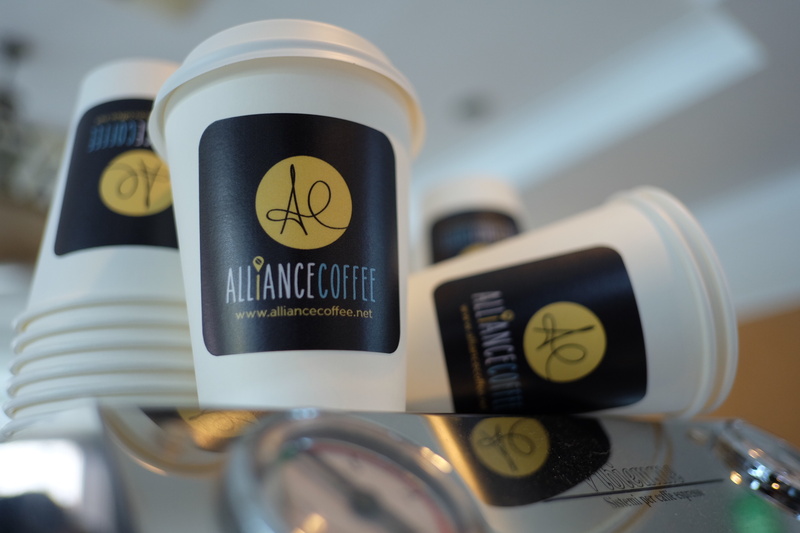 Alliance Coffee’s mobile coffee cart complements the buffet spread, allowing the couple’s guests to enjoy their lunch while waiting for the couple to complete their wedding customs. Marsiling-Yew Tee GRC held a day festival for their residents and wanted to provide their attendees with a unique experience. 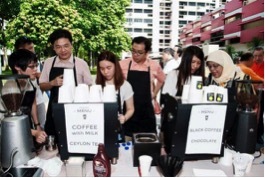 Specialty coffee was brewed fresh for 400 of their participants. Ankita threw a party to celebrate her son’s birthday. The party was held at their condominium. They invited their family members, friends and also neighbours to join in the party. 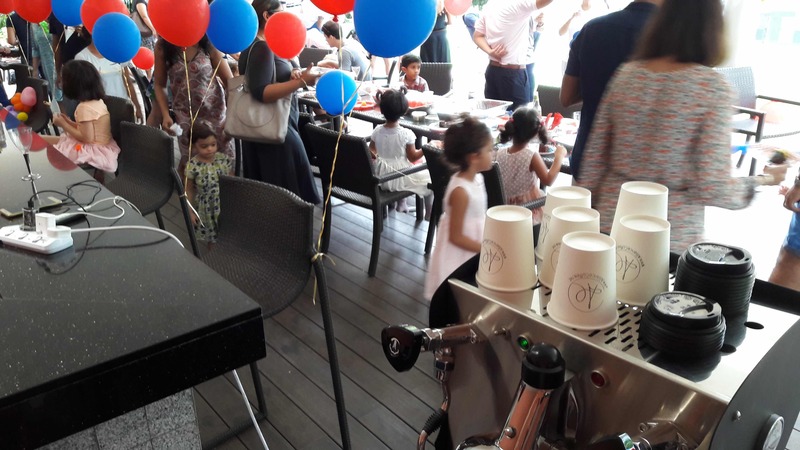 While the adults enjoyed their freshly brewed coffee, the kids were not left out as they enjoyed chocolate drinks.